Top-Rated SellerHeathersCollections consistently earns high ratings from buyers thanks to fast shipping and excellent service. 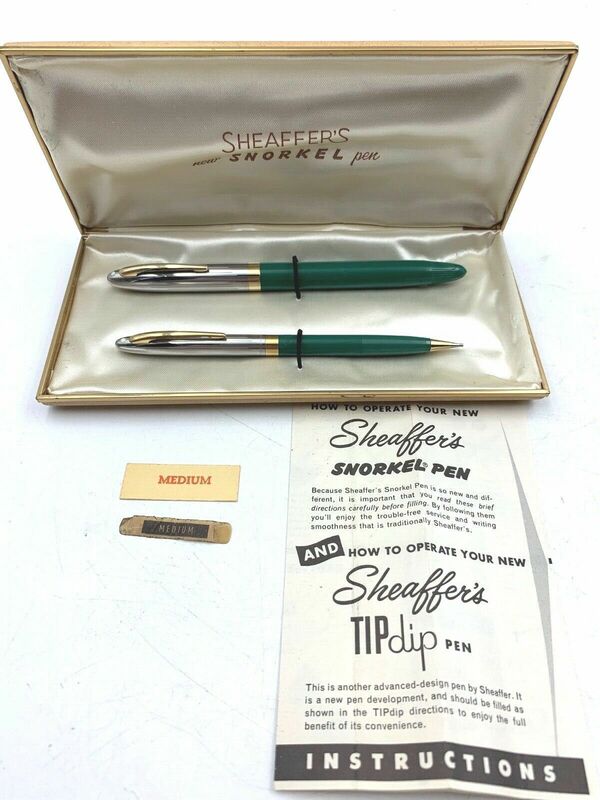 Premium SellerHeathersCollections has been a Platinum member on Bonanza since July 16, 2018. 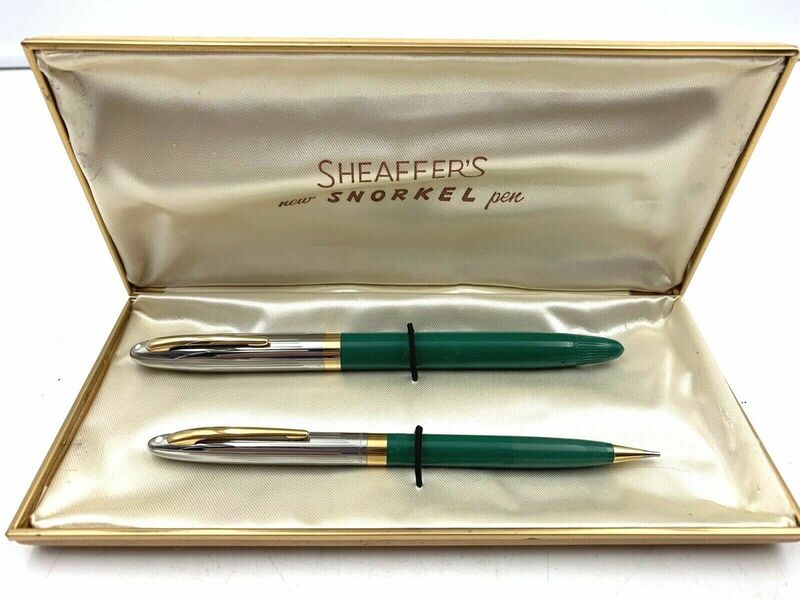 For your consideration is this vintage circa 1953 Sheaffer Sentinel Snorkel Fountain Pen Pencil Set in the rarely seen Peacock Blue color. 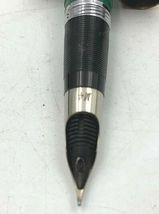 This fountain pen appears to be in original un-used condition. This fountain pen pencil cap and barrel are in excellent condition with no chips, cracks or repairs. 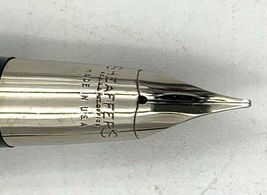 There are no monograms or personalizations to either the cap or barrel. 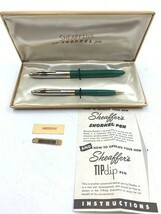 The cap is stamped with, "SHEAFFER Made in U.S.A." as well as the barrels. 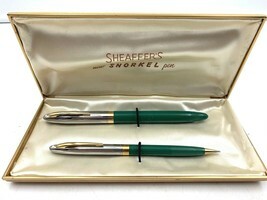 The Snorkel pen measures 5 1/2" in length capped and the pencil is 5" long. 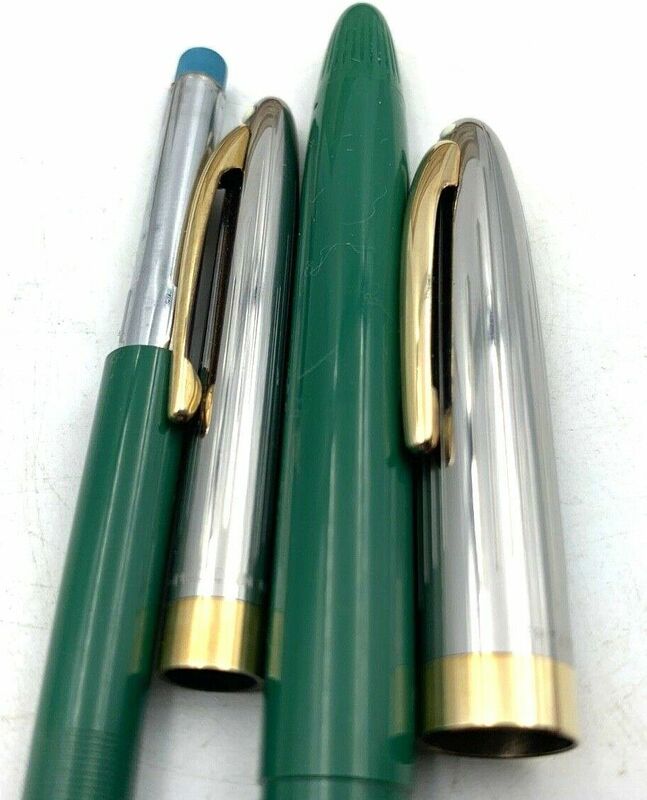 I have ultrasonically cleaned the Fountain Pen NIB, feed, and tube and polished the cap and Medium Nib. There is no wear to the cap or the gold filled clip and cap banding on either the fountain pen or pencil. The snorkel tube moves freely and draws as it should. I tested it with water and it appears to work as it should.